George Osborne will give a big speech on tax today, emphasising simplification. 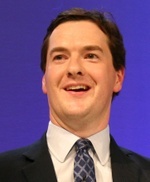 In order to boost his credentials with the Tory right he will say that his approach to tax is inspired by Adam Smith. Speaking to the IoD in Manchester the Shadow Chancellor will say that Smith's 'principles of good taxation' - that taxes should be transparent, simple, efficient and fair - will guide his own approach to tax. "In just nine years [Gordon Brown] has managed to double the size of the tax law bequeathed to him by all his predecessors since the Pitt the Younger. Take the Finance Bill currently passing through the House of Commons. It is 481 pages long – three times the length of Finance Bills in the 1980s. There are now enough tax inspectors in Britain to fill every seat in the Olympic Stadium in Berlin where the World Cup Final is going to be held – and you’d still have 30,000 waiting outside for tickets!" Mr Osborne promises detailed work on a programme of tax simplification that will be 'revenue neutral' and which will reduce the cost of complexity that faces the taxpayer. Tax simplification is a key topic of Lord Forsyth's Tax Commission, established by George Osborne last year before David Cameron, with his very cautious approach to tax relief, was elected leader. The Commission, which will report soon, was asked to look at flat taxation but Mr Osborne's enthusiasm for flat taxation has since cooled considerably. Speaking on this morning's Today programme George Osborne said that talk of tax cuts might appear rash to those voters who most want to know that their mortgage payments will stay stable under the Tories. In his speech Mr Osborne will warn that the effect of tax cuts would be unpredictable and would be a "big gamble" with the stability of the economy (BBC). Supply-side Conservatives believe that the bigger gamble is to fail to begin to reverse Labour's increase in UK tax levels to a historical high. UK tax levels recently outgrew Germany's. There remains speculation that the Tories may cut business taxation in amounts equal to increases in green taxation - as the Liberal Democrats (possible future coalition partners) have recently promised to do. i thought he did OK this morning, managing to stay good-natured despite the Harrumpheries interview technique. Tax simplification is a great idea. As to not offering tax cuts now - I doubt any of us wouldn't collapse with joy at the prospect of paying less tax. But I think that it's tactically vital that no specific tax cuts are offered now, because of the way Labour would react. There would be a letter to every nurse and teacher in your constituency within hours telling them (lying to them) that they would be sacked to pay for the Tory cuts. We *must* keep that debate totally closed down, because our spokespeople end up wasting interview time denying that they would do any such thing. You must have seen these interviews "which services *would* you cut then?". We get 5 minutes PR time on national telly and we used to have to spend it all denying we were going to sack nurses. I wouldn't be saying which tax, precisely, we'll be cutting, now. But we should be making the case for lower taxation. Every poll on the subject shows people believe the government wastes vast amounts of money - so I doubt if the schools 'n' hospitals argument against tax reduction holds much weight now. How many people are going to believe Labour when they start crying wolf? I don't think tax reductions are something are ruling out. In fact, the long term health of the economy depends on them. Tax simplification has now become a necessary idea in this country. George Osborne is right to make sure that those principles guide the formulation of tax policy. We need to make the argument that the right tax cuts can achieve what they did in Ireland, Australia and Canada recently, which is to act as a boost to economic growth and actually boost revenues. When Australia cut income taxes in 2000 it said it was A$12bn of income tax cuts. In fact, tax revenues did not go down by A$12bn but actually went up. Australia is now able to cut taxes further due to the benefits arising from its first tax cut. All 3 of those countries also have budget surpluses. This is one politician I could never take serious. I still can't get out of my mind the accusation the "News of the World" leveled at him without him taking them to Court. Dennis Skinner has repeated it in the commons and I am afraid just prior to the next election a bombshell is going to drop around this character. To me he seems like a silly little boy playing at politics with his schoolboy behaviour on the front bench coupled with a high pitched squeeky voice. Oh, come on, no-one is going to campaign on more tax complication are they? I would name one tax to be scrapped immediately; inheritance tax. It brings it just £3bn a year and the cost could easily be met by improving efficiency of IT (my area of specialisation, providing solutions when inhouse projects have failed or third-party consultancies have bled the coffers dry). Billions can be saved by completely restructuring government IT. So it is possible to name the areas of saving, and a specific tax cut. I mean, of course tax simplification is a good idea. So it less crime, more prosperity, happy families, nice neighbours etc. It can be done. It can be done responsibly. I agree with you Graeme, Tax simplification is a very positive policy to campaign on, as it benefits most people. As to your comment about tax cuts "We *must* keep that debate totally closed down". It would be a gift to the Labour campaign, remember the inaccurate poster campaign they had and Oliver Letwin being hidden from the press by Michael Portillo. The public know that the conservative party is more inclined to try and make their tax burden lighter. Campaign on tax simplification and reform of Public services with an emphasis on being able to deliver managerial competence. Keith (for it was he): Why can't bleeding Tories just cut tax? Me: Well, take inheritance tax. It's the opposite of Conservatism and no Tory would object to its abolition. Keith: So say you will abolish that. Me: Suppose we did. Labour will already have a lookup table saying how much money the exchequer takes from this crap tax over a 5 year period. They will press the HQ button and instantly about a million letters will go out to every public sector worker claiming that our commitment to abolish this tax will cost them their job. They will mention nothing else no matter what question any interviewer asks them between now and the election. Remember Peter Lilley's experience when he discussed rational pension reform in 1997? Keith: there you go again, mistaking me for someone who gives a damn. See my point though Chad? Sean's right that we should keep making the general case, but I think this is being done via the endless repetition of "sharing the proceeds of growth between investment in public services and a reduction in tax". It sets my teeth on edge too, and I've heard it enough already for a lifetime - which means it's probably just beginning to filter into the consciousness of normal people. 1. To be able to isolate real areas of saving and efficiency you can make. Real numbers need here. This will fund point 3. Without this, any pledges you make are meaningless gestures of niceness. 2. For one parliament, I would pledge to match Labour's public service spending to remove the "fear factor" and build trust. So I completely agree with you. Labour will use tax cuts in the same way the Tories used the threat that Labour would reduce spending. How did Labour remove the fear factor? Yes, they pledged to match existing plans for one parliament. Now is the time for the Tories to do the same on public services. Unfortunately, every time I have suggested this, many have choked on their cornflakes. It's not tax cuts people fear, it us cuts in public services. The two are no co-joined twins, and a pledge on one, can facilitate the other. ..and also, it is not a policy that LAbour can 'steal' as it requires delivery of point 1 to fund it and this shambles have no chance of ever doing that. This would put Labour under real pressure and also potentially thwart the week-one trick Gordon Brown has up his sleeve. So now, the job it to get a competent team, kick out the leech it consultancies and get fixed-price, fully specced discipline into government IT. It will save billions. I've seen how it can be done in the private sector, replacing projects that have cost tens ofmillions and delivered nothing. Inefficent project managers + greed consulting firms = massive waste of taxpayers funds. Until this changes, all government projects will continue to run over time and budget and soak billions from the taxpayers. I know it's geeky, but I'm a geek! Tax simplification is a good message - backed up by making more of the tax credits disaster: half a million of our poorest citizens faced with demands to repay in excess of £1000 each. But we can also make a case for reducing expenditure based on the disastrous incompetence of this government: NHS IT cost overrun of billions, PCT re-re-organisation (sic)wasting over £1bn, City Academies designed by Norman Foster at vast expense, the CSA, etc. added to all those the cost of introducing ID cards. If we had a competent government with departments of State fit for purpose we'd could deliver a better service and prioritise NHS, Education and policing. I agree we don't lead in talking of tax cuts but saying the Chancellor is mortgaging our futures with grandiose and ineffective schemes and wasting our cash is I would have thought a rich seam to expolit. If you can't identify how you can make savings, not just where the governmnet is going wrong, then the words are nice but meaningless. Do the Tories plan to ban third-party IT consultancies from getting involved as these companies exist to extract as much money as possible? Do the Tories plan to make all government IT contracts, fixed price contracts? We can all see where the government is farking up, but how do the Tories plan to solve it? I guess, by being "better, fairer, nicer," etc. I would find it very hard to bring myself to vote for a party that pledged to maintain Labour's level of public spending (c.44% of GDP) for a whole Parliament. While I hear what you say Graeme, I have no doubt at all that a pledge to, say, take main residences out of IHT altogether would be enormously popular in London's marginal seats. I know Sean, many tories have expressed exactly the same response to me. However think about the humble taxpayer for a moment. a: We are going to have to spend x anyway as those are Labour's plans and they will impose them. b: We don't want public services cut. So if the Tories match on a and b, then we will have a clean choice of who we want to fix the mess without it getting mixed up in an impossible array of issues that will enable LaAbour to play on the real fear of Tory cuts. Labour swallowed hard, pledged to match the Tories removing the fear-factor and were rewarded by the electorate. If the Tories can't do the same, it will leave the fear that the only possible reason for their failure to do so, is a plan to cut services. If the Tory plan, is really a long-term one, then they should be thinking about 3-4+ terms in office to rebuild Britain. A 1 term pledge that will be imposed anyway, seems to small price to pay. If at the end of four years we've fleeced the electorate in the same way as Labour, we'll be removed from office (and deservedly so). You won't be fleecing the electorate, you'll be protecting public services whilst bringing in tax cuts etc through efficiency savings, tax simplification etc, unless all of that is just spin. It's funny, many here have accused me of being too idealistic, and they say they are focussed on getting into power, and accepting less to get rid of Labour. However, on this issue, in actually doing what is necessary to negate the fear of Tory cuts, there is fierce opposition similar to that which kept Labour out of office for so long. Blair saw this, and the party swallowed hard, made the pledge and have won 3 terms in office. However, the Tories still have a 'kinnock period' feel where things are looking up, but it is still in that half-way house between modernisation and not quite being able to make the leap and pledge what is necessary for the electorate to trust them again. Gordon Brown? I mean, tax credits can hardly be passed off as anything other than a complication. There's a difference though, Sean, between the total take and what you do with it, isn't there? I'm sure we'd all like to get the total take down; but it's not fleecing if it gets spent on restructuring health and education, and not on jobs for Labour's IT cronies. That's an attractive ambition for Term 1. Chad's one-term tactic is attractive because it would get round what doesn't, but shouldn't, keep me awake at night- how do we challenge the dominant centre-left worldview that public spending is good? Not in the SE where Sean and I are - he's totally right in how abolition of IHT would go down here I think - but what about the sovietised labour heartlands? We just can't get a majority there by telling >half the workforce that their jobs are worthless and we'll sack them! Do you think there's any chance of a rejuvenated David James (no jokes) report? I thought it was quite an effective weapon at the last GE, except of course we lost. A bit of a Howard Flight moment from me but I do think we have the opportuniy to reduce public expenditure when in office but not to be too prescriptive or set targets before getting in. We would deservedly be kicked out if after a full term our public finances are on a par with what Labour's would be. Sharing proceeds of growth is a sutable soundbite - it commits to continued support of key public service improvements while also saying that the overall tax burden will reduce. Its not enough but ever since "if it isn't hurting it isn't working" the percepion that we put tax cuts for the few ahead of public need is one we can only remove by showing we can deliver an improvement in NHS, education, Law & Order etc while being more efficient. First we have to win and I think Osborne is sensible to say that he cannot promise nor wants to promise an immediate tax reduction early in our term of government. Couldn't we go into the next election promising a 'freeze' on all taxes (which is to say no increase in the % for % style taxes like VAT and income tax) and no increase in fixed taxes like council tax. Sean,"I would find it very hard to bring myself to vote for a party that pledged to maintain Labour's level of public spending (c.44% of GDP) for a whole Parliament." Our reputation on public services was as bad as Labour's was on the economy during the Thatcher years. Do we rush straight in and cut the funding before tackling the problems, or do we provide competent management and reform of the public services which would hopefully see an end to many ineffective schemes which have wasted billions of £'s, thus making an effective argument for reducing the level of public spending while not hurting front line services. I think the latter is a more sensible way of achieving this. Remember Gordon Brown stuck to tory economic policy for 2 years before changing direction Prove the case for a need to reduce public spending rather than create a stick for the opposition parties to beat you with for 4 years. "There would be a letter to every nurse and teacher in your constituency within hours telling them (lying to them) that they would be sacked to pay for the Tory cuts." Perhaps we should therefore openly state that there will be sackings. However, the people being sacked will be those who work in the parasitical non-jobs advertised by the Guardian - smoking cessation officers and outreach workers etc. Meanwhile we should be emphasising the fact that tax cuts bring economic growth while using all the statistics at our fingertips to prove it. We need to keep hammering home the message - cut taxes and you will get richer. So as to prove we're not just the party of the well-off we should combined tax cuts for the poor with the abolition of inheritance tax. Also give the long-suffering middle classes a boost with an increase in the top rate of tax threshhold. Is there a way to form an, umm, coherent Tory-style narrative about why we hate Gordon Brown ('s role in government) with an obvious corollary that our approach would lower taxation? What I hate more than almost any other "mechanical" aspect of this government is means-testing and what it does to people. If we increased thresholds, would this lift more and more people out of means-testing trap? Could one of the bright economically literate of you tell me if this is doolally? I'm thinking that we could focus on what we'd do for the most disadvantaged without even *mentioning* tax to start with. Well, actually, I do think that at some point we have to bite the bullet and say that not all problems (in fact very few problems) can be solved by the right sort of public spending, or the right sort of regulation. So I would be quite happy with an approach that said that in some areas, we will cut spending, because we think that that spending is either not achieving anything, or is even counterproductive. The James report points out where this is so. That could be combined with a pledge to maintain levels of spending in Health and Education. A very good suggestion Graeme. We could also say that by replacing Tax Credits with higher personal allowances we could take many people out of the tax system altogether. We have to focus on the practical and positive. For those beguiled by Chad's advice to the Conservative Front Bench, it is worth pointing out that Mr Chad Noble intends to stand in the Bromley by-election against the Conservative Party candidate. I agree with Graeme here. Tax Credits are a micro managing bureaucratic shambles. I am writing to our MP on behalf of a friends who's had hers cut off because her ex husband rang up the hotline and told department a bunch of lies about her finances. Let's scrap them, increase allowances, get rid of the administration and set people free of state interference. what the tories need to do is not promise any tax cuts, then when they are in government, they can identify that 80 billion waste that has been found, cut it and then cut taxes to show that actually you can cut taxes without cutting the necessary spending. thats the way to argue for tax cuts, the resulting economics growth will prove them right. but until they asre in governemnt they shouldnt promise anything tax wise. "For those beguiled by Chad's advice to the Conservative Front Bench, it is worth pointing out that Mr Chad Noble intends to stand in the Bromley by-election against the Conservative Party candidate." Er, yes. We've been aware of that for quite a while now. Richard, "Meanwhile we should be emphasising the fact that tax cuts bring economic growth while using all the statistics at our fingertips to prove it. We need to keep hammering home the message - cut taxes and you will get richer." We have been hammering home that message for 10 years and Labour simply ask "how many teachers, nurses etc will you sack", it may not be true but it is very effective. And it means as Graeme has already stated that the media effectively spend all their time asking the tories to defend their policy rather than attacking the government on their record. I think some of you are missing a vital point, you have told David Cameron and his team to get out there make the tories relevant and successful in area's where we have become extinct. You don't do that by announcing that your first intention is tax/public spending cuts without the evidence to prove you can do it while not hurting frontline services. It will be popular in Tory heartlands but will not make enough people living in Scotland, Wales and Northern urban area's more inclined to vote tory. This is a very interesting article from July last year, and almost seems to form the blueprint of Cameron's progress. Spookily similar isn't it? "They do not understand why the general public supports public services"
When George Osborne talks of 'tax simplification' he wants to win over voters who think that simplifying such a burdensome process is a good idea, right? Wrong. What he's really doing is dog-whistling: he is telling the Tory right that he hasn't forgotten them and that taxes will be cut. Is it possible for Chad to post on a thread without someone bringing up Chad's political ambitions ad nauseum? Particularly as this is an excellent thread today. Although I don't agree with that Progressives article on ditching small government in any way, Cameron or Maude must have read this article. I just don't understand why they are holding back on the one remaining issue that kick propel the Tories into power and finally kick out this Labour rabble; convince the public that public services will be just as safe under a tory government. Remove that fear factor, and we could finally see the end of this new labour project which is likely to then explode into all kinds of divisions and see them in opposition for years. Come on do it! "Is it possible for Chad to post on a thread without someone bringing up Chad's political ambitions ad nauseum?" It shouldn't happen for too much longer - given Mr Noble's pledge to withdraw from the contest if a Forthite Conservativve candidate entered the race, I'd say the entrance of Mrs Forth has blown the lame duck right out of the water! A very interesting debate: George Osborne would do well to follow Adam Smith's four criteria. They are in complete contrast to Gordon Brown's four principles: stealth, complexity, inefficiency and unfairness. It would seem tactically wise to promise to do what Brown did when he became chancellor (i.e. to maintain tory spending on social services for two years). Tony Blair recently started the scaremongering again about "cost-cutting Cameron" (Labour website). The essential thing is to achieve some real cuts in wastage asap. Can the tories shake up government departments that seem totally demoralised? Can they really get a grip of these vast IT projects, as Chad suggests? Will they actually lay off thousands of low grade bureaucrats that Brown has only just taken on? Can we radically improve the management of schools and hospitals? These are very important questions for DC to satisfy us on. I agree wholeheartedly with Graeme about the raising of personal tax thresholds. It has always seemed to me to be complete nonsense that a person starts paying tax at just under £5000 a year but couldn't subsist on that amount. Therefore, if he earns only a little more, he will need benefit. Why not, over 2-3 years so increase thresholds as to take such people entirely out of tax and benefit? Chad's political ambitions are CH's equivalent of Godwin's Law. Victoria Street therefore loses, and is barred from the rest of the thread. As a fully paid up member of the Flat Tax fan-club, I would like to know what has deflected George Osborne away from this excellent idea. Is it purely the political calculation of how easy it is to misrepresent and attack the policy? Tax simplification? A one-handed clap from the cheap seats over here, I'm afraid. Hopefully we will see something more radical as the policy review groups start to report. It's a fair cop, Geoff. "Is it purely the political calculation of how easy it is to misrepresent and attack the policy? " For me, it should be almost as simple as Teather's flat taxmodel: high initial allowance, but have two rate, one set at a high level to show the millionare pays more. No tax credits, no NI, just one allowance, and two rates. A one page tax-return should be the aim. If the self-assessment form can be trimmed to a single page, then tax will indeed have been simplified. One thing that pleases me enormously is that the reception to the idea of matching Labour spend for a fixed period has been much warmer than ever before. With no back record to fall back on, only an unequivocal pledge will earn Cameron the trust he needs to win over the general public to a sufficient level to actually win the next election. Also, for the record, as a committed geek, my real ambition is to play my part in sorting out the IT mess in government to make it efficient, and save us billions. Everything else is a faciliator for that. I'm a very happy geek, and very much enjoy banging heads together and sorting out It fark-ups. Of course, it doesn't make me popular in IT departments, but then that is compensated by all the love here. The only pm in government that I would want to be is hands-on IT project manager. It's ever so boring, but for me, IT is the area where we can deliver, save billions and thus enable the lowering of taxation. "Chad's political ambitions are CH's equivalent of Godwin's Law." I'd say (and this doesn't count) 'Europe' (see also: UKIP, EPP and other variants on the theme) are our equivalent of Godwin's Law. Dragging myself back on-topic, the BBC are reporting this story as 'no tax cuts' - Simon Heffer will be thrilled no doubt. Simon Heffer! Bless you DVA! He's probably choking into his grouse-flakes as we type. It won't reassure those who are currently refusing to vote Tory, just enfuriate the taxcutters who are currently generally onside. What is the point in that? The first group won't vote for you because you are annoying the second. They want firm reassurances. You can't be ambiguous on this. Go on, try and say the words, it's the first step to recovering, the acceptance, that you need to pledge to protect public services. I have to admit about being somewhat sceptical about flat taxes. I don't really accept that they would have the revolutionary economic impact the likes of Steve Forbes ascribe to them. Most of the stories about the effects of flat taxes originate from countries with developing economies - and thus good growth potential, where investment is restrained by institutional uncertainty, and large numbers of people previously existed in a black economy outside any tax system. The flat tax would have a great effect in such circumstances - it offers clear rules, which can be easily enforced, and thus allow easier revenue collection, shoring up the state's financial foundations, and again diminishing that uncertainty. This simply isn't analagous to the likely effects inthe UK, so I don't think implementation of such a tax scheme would lead to an economic boom. There would be benefits, such as a simplified tax system allowing for a smaller Inland Revenue, and I think this would allow for some growth, but not as much as is often claimed. Given this uncertainty, it's hard to imagine anyone seriously advocating such a tax scheme in the run up to an election, simply because the benefits are undefined and the counterattack by Labour is so predictable. I see they're sticking to the "they'll say anything to get elected" line. "This simply isn't analagous to the likely effects inthe UK, so I don't think implementation of such a tax scheme would lead to an economic boom." It has also been pointed out by the founder of the idea that any extra revenue that could be obtained by introducing such a system was mostly soaked up in the 1980s due to the significant tax cuts under Margaret Thatcher. Nevertheless, significant cuts in the size of the state could increase economic growth but I doubt the electorate would permit it. One thing I'd like to see in tax simplification is for the mess that is income tax & NI sorted out. Recognise its a thorny issue because of the ceilng on NI and the differential application to the lower paid and its part in "contribution" to pensions but it results in high rates of marginal taxation for some and higher than necessary management costs. If you raise tax in ways that hardly anyone notices then the sting is that cutting those taxes will be much more noticeable. This is what the Front bench may actually understand!! Yes the tax burden is too high, but until recently no-one has actually noticed really. They have been too busy buying iPods etc. But start making the necessary changes to acheive tax-simplification and people will start to notice! Start sorting out the Gordian knot of tax credits and all those currently in receipt of these benefits will begin to notice. As for the suggestion that we pledge to match Labours spending plans. Not practicable until Labour know what they will do up until the election. Otherwise we run the risk of encouraging Labour to saddle us with a massive spending program and no means of backing out of it. We have no idea how the economy will be performing in 2009/10, we should offer no hostages to fortune there. We should be shamelessly cautious, Derby once said that 'the job of an Opposition is to oppose everything and propose nothing'. Too often in the past we adhered to the first half and not the second. We should travel light, harry the government at every turn, and only give broad hints as to what we may or may not do. Osborne seems to be doing just that. - fully agree. Our most successful tactic was to convince Labour in 1992 that they had to produce a fully costed programme (so they lost). In 1997 Gordon ducked this by saying he'd keep to our plans for next two years (and Ken Clarke admited later that we wouldn't have! )result they won. Hopefully G Brown will have to produce a manifesto in his leadership campaign well before we need to firm up ours. Wait for that then decide. i'd say the entrance of Mrs Forth has blown the lame duck out of the water-according to Daniel Vincent Archer. What makes you so sure that Mrs Forth agreed with all of her husbands politics. For all we know she might agree more with Blair, Brown,Cameron, Maude or Osborne views of things rather than that of her late husband. You like a lot of other males presume that women cannot think for themselves, we have got a vote in case you have not noticed and it is private. I have voted completely opposite from my husband for years, I do not agree with his politics, he does not agree with mine, fair do's, we agee to differ, my vote always cancells his out and vice-versa. One thing I do know, Eric Forth was far more in tune with Chad and other real Tories than he was with Cameron, the reason being: Eric Forth did question Cameron's version of being a Tory. Stop pillorying Chad, this man has good old fashioned Tory principles and he is not going to fore-sake them for the likes of a shallow would be Tory as Cameron is, say anything do anything loose all your principles but get elected at any price. How long do you think it is going to be before the swing voters, those that we really do need to win wake up and find that we have ditched all our principles and elected a PR man to lead us. One thing is for sure Cameron is no Tory. Sadly today's committment not to promise tax cuts at the next election does itself cut to the heart of the big issue within our party right now. Ultimately we all want to work as hard as we do in order to secure a Conservative Government but that Government has got to be proposing conservative policies otherwise it will not have been worth getting them elected. I for one will not work for a party that I have ceased to agree with and all around me I find other activists saying the same thing. Modernisation is a necessary and positive thing but abandoning conservative policies is mist assuredly not. This cannot just be about getting Cameron into No 10 because he is a good bloke or something it has to be about what a Conservative Government will actually do. People on this site may not like reality but I am afraid reality is that people believe that tax cuts mean cuts in public services and I am afraid they simply will not vote for it. We have to convince people we believe in the public services and will improve them or we will not get elected. That is reality folks no matter how much you don`t want to believe it. Economic policy must be more than just about tax cuts and I am afraid the Conservative Party if its to be re-elected needs to be more than about immigration, tax cuts and Europe an impression you get that the party are from this site sometimes. For a government that’s cocking-up tax credits so badly, the accusation that we’re in confusion is gobsmacking. Since Cameron became leader, he and Osborne have been entirely consistent with “sharing the proceeds of growth”. In the list of alleged flip-flops the only departure from “sharing the proceeds of growth” was something written by the Daily Mail. Evidence indeed! And the "only consistent policy is to cut spending on our essential public services" line. As Graeme says, we have to shut down that accusation. Is there any level of public spending that we should object to, or should we promise to match Labour's spending commitments, regardless? It's incredible that we're so afraid of Labour that we cannot advocate even the most modest of tax cuts. Another word for it is pathetic. "i'd say the entrance of Mrs Forth has blown the lame duck out of the water-according to Daniel Vincent Archer." I don't know who this Daniel Vincent Archer is, but allow me to address your comment on his behalf, before asking that we draw a line under this subject here as there is a thread devoted to the topic on the Goldlist blog, and I don't want to ruin this thread by turning it into yet another discussion about Chad Noble and his grandstanding. "What makes you so sure that Mrs Forth agreed with all of her husbands politics. For all we know she might agree more with Blair, Brown,Cameron, Maude or Osborne views of things rather than that of her late husband." I didn't actually say she agreed with all of her husband's politics. One thing is for certain though - as the wife of the late Eric Forth, she knows a damned sight more about his personal political values than the 'ridiculous egomaniac' (Iain Dale's words, not mine) who has appointed himself the guardian of Eric's legacy (despite having never even met the man, let alone known him) and continues to make pompous pronouncements about being the only true conservative candidate, despite being the leader of a party which is described as a centre-left party for the lads' mag generation. "You like a lot of other males presume that women cannot think for themselves, we have got a vote in case you have not noticed and it is private." "One thing I do know, Eric Forth was far more in tune with Chad and other real Tories than he was with Cameron, the reason being: Eric Forth did question Cameron's version of being a Tory." Oh I'm sorry, I must have missed the moment when Eric Forth quit the party in a huff and set up a centre-left party for the lads' mag generation. There I was thinking that he'd remained within the party and continued to work as a constructive force for change from within. Silly me. "Stop pillorying Chad, this man has good old fashioned Tory principles and he is not going to fore-sake them for the likes of a shallow would be Tory as Cameron is, say anything do anything loose all your principles but get elected at any price." Good old fashioned Tory principles eh? You mean like "a hand out, then a hand up"? Or possibly you meant using a picture of a woman's breasts (a gesture which I'm sure you'll appreciate, given your earlier comments about male attitudes towards women) to advertise his 'centre-left party for the lads' mag generation'? As I said before, I've no desire to drag this thread way off-topic into another discussion about the candidates for the Bromley and Chislehurst by-election, so I'll conclude my comments there and say no more about it on this thread. If the Tories don't propose to cut taxes then that means none of the three major parties represent this viewpoint. So much for democracy. Tories do propose to cut tax rates - provided the economy is growing. Sharing the proceeds of growth means that, in a growing economy, tax percentages come down by less than the rate of growth. It won't be dramatic overnight stuff, but 1% a year over 5 years will make a big difference. If that is what occurs, Mark, then I'll be quite happy. At the moment, the message I'm getting from George Osborne is rather like going to the doctor, and hearing emphasise at length how difficult it's going to be to treat you. We have to convince people we believe in the public services and will improve them or we will not get elected. Well Gordon Brown's spending increases end in 2008. DRGs have already started to bannkrupt hospitals. So how much more than £88bn do the Tories want to spend on the NHS ? How much more than £511bn do they want to spend - more than £68bn on Education ? Quandary - how do we show Brown has got pubic finances in a mess through overspending, off balance sheet financing and yet promise our first priority is tax cuts. Osborne is sensibly preparing the ground both for attacking Gordons profligacy and making sure he doesn't promise what he can't deliver. So yes he is the doctor explaing that those over-indulgences from generous Gordon mean its going to be difficult to treat while ensuring vital functions aren't impaired. Osborne's job is to expose Gordon, to destroy his image. He's repeating "roadblock to reform" but has now started undermining little miss Prudence. Chad's usage of 'lad's mag generation' is an attempt to reach working class males. I seem to remember David Cameron saying 'get real' or something similar, in a similar vein. I've not seen any breasts on Chad's website, but I did write him an email in which I stated that I thought the term 'lad's mag generation' conjured images of Page 3, etc. I wonder if the breasts were actually there, or whether they were conjured up in the way I described. 'Centre-left' was something on the original site, but his revamped site doesn't seem to have it, it looks ProgCon to me, and centre-right. He's also dropped the 'I am a party' stance and is standing as an Independent, so he does seem to listen to criticism and change things. Just seen the pathetic George Osborne! Talking about Prudence, the transformation of the Conservative Party into Blue Labour continues before our very eyes!!!!!!! Actually, I don't think "efficiency" savings really go as far as we think. To cut taxes, we are going to have to cut public services somewhere. We simply need to make the moral case for the State to be doing less, but we probably also need to "mask" this until we are in power. This will have the added bonus of reducing the headcount in Brown's payroll vote. "Quandary - how do we show Brown has got pubic finances in a mess"
Isn't Gordon Brown publishing his Comprehensive Spending Review next year? We should see what he says, and listen to the sounds he makes when he goes through the inevitable Labour Party leadership election, before we make any sort of promises. I like the message from Cameron and Osborne about sharing the proceeds of growth, and I think it will definitely appeal to the electorate more and more in the coming two or three years. Depending on the content of the above, I like the sound of a combination of matching Labour's spending plans for two to five years, efficiency savings and simplification of the tax system, and identifying clearly which departments we are prepared to reduce spending in real terms over a second parliament. Pardon me Daniel Vince-Archer for getting your name wrong, I simply thought Vince was a friendly version of Vincent-how stupid of me. Now allow me to give you a few facts. Joseph Stokes is my husband of forty-nine years. He pays for us being online and we have never felt the need to change things,he knows only too well my opinions as I know his, for all of our married life we have shared things , so what difference does the name make?. It also may surprise you know I have my own opinions, I can think for myself and I read and agreed with Chad Noble's attempt to become an independent MP and last but not least I do not have to walk 3 paces behind my husband or ask permission to write to blog sites. Mrs Stokes. michael gove compared tax cuts with joining the ERM on question time. I love the maroon quote about Maggie not promising tax cuts. I can't remember her proposing the nationalisation of political parties with state funding, centralised positive discrimination, supporting private but not grammar schools etc etc. Perhaps we should ask Maggie what she thinks about these three policies seeing as Cameron's team seem so keen to quote her and follow her approach, as I am sure they aren't just cynically cherry-picking approval. Margaret Thatcher wasn't a great supporter of Grammar Schools & the 11+ - as Education Secretary & PM she believed in choice so direct grant schools, funding places in private schools, technical schools, comprehensives and grammars. Her view was it shouldn't be the state laying down limited access and making decisions on which schools existed but should be about parental choice. She rejected the voucher system because she believed it dealt with the margins rather than the bigger problem of uplifting education overall. I completely agree, I'm not looking for preference, just seeking the same choice you note that Thatcher supported. Choice should mean supporting the right of a school to be a grammar, private, whatever. Why is Cameron so afraid of the word 'grammar' when talking about education as it is a vital part of the spectrum of choice? What do you think she would think of the Cameron positive discrimination and state funding proposals? "What I'm saying today is that given the state of the public finances at the moment and the very large sums of money that the country is borrowing, it is very unlikely that we would be able to make promises of upfront tax cuts at the general election." Interesting that Labour should include the above quote from George Osborne as part of their response. George is basically saying that the economy is in such poor shape that we might not be able to afford instant tax cuts. Labour don't seem to get that! Thatcher wouldn't have campaigned to bring back grammars - her view was if they exist and local people wanted them then leave them be. On positive discrimination - she wasn't famous for wanting other women in her Government and made it on her own but if she had been seeking a seat today who knows. State funding - she is a pragmatic politician - if she'd seen a benefit and chance to take TU funding from Labour then I'd imagine she'd have supported it relectantly. "So how much more than £88bn do the Tories want to spend on the NHS ? How much more than £511bn do they want to spend - more than £68bn on Education ?" I think NuLab have proved pretty effectively that there is more to improving public services than spending more on them. It might even cost money up front to make them more efficient. Once public services are reformed and more efficient, they will cost less, then tax can come down. To promise to cut tax straight away, regardless of the needs of the public services or state of the economy is the sort of electoral suicide that saw David Davis soundly beaten for the party leadership. Thanks Ted, I think I'll write to her and ask her directly her view on those three issues. "Once public services are reformed and more efficient, they will cost less, then tax can come down. To promise to cut tax straight away, regardless of the needs of the public services or state of the economy is the sort of electoral suicide that saw David Davis soundly beaten for the party leadership." If you have no firm plan how to make public services more efficient or reformed then not only can you not promise tax cuts, you can't promise that you won't be even more inefficient, and thus tax keeps rising. Anyone can say 'reform' and 'efficiency' but it is absolutely meaningless without any idea how you will achieve that reform. If you do have a plan, you will also have a good idea of how much you will be able to save and thus would be in a position to offer some tax cuts based on a sensible and defineable constraint concerning the state of the economy. This is all a smokescreen. The CamCons simply have no idea or plan on how to reform public services other than the other red herring of 'more private sector involvement'. Do they mean more private sector consulting firms who are already bleeding the coffers dry? She closed more Grammar Schools down than any other Education Secretary, she saw them as being Socialist in concept and she favoured Grant Maintained and Independent Schools able to select their own pupils as they saw fit. Indeed the Assisted Places Scheme was an alternative to Grammar Schools. They pledged not to raise Income Tax rates and pledged to keep to the 2 year Spending Plan.